I spent 23 years in the military during a time (Viet Nam) when the wider culture was definitely not disposed to endorsing that lifestyle. 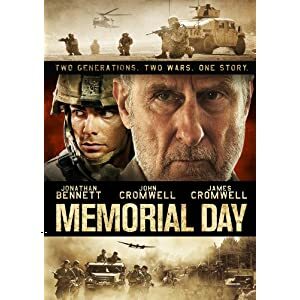 This movie demonstrates that finally it is possible for our stories to be told without the false romanticism of the early days nor the hideous distortions of the Anti-war crowd. When a military person talks about "doing his job" there is an entire layer of meaning that is included there that simply does not communicate very well outside the circle. He/She is not talking about simply putting in time at the desk nor just earning a paycheck. That person is talking about an entire focus of life and mission that integrates sense of country, sense of responsibility, sense of mutual dependence, sense of honor, sense of necessity that transcends ordinary vocation. This is not to romanticize it nor to unduly glorify it. It simply is what it has to be. The well understood observation that when the bullets are flying that a soldier is not fighting for his country, he is fighting for his buddies, is true. But the reason why he is fighting for them is because, fundamentally, they share that same set of sensibilities, each to a greater or lesser extent and each in different proportions. Life is clarified greatly when your immediate actions and those of your brothers in arms constitute issues of life and death. The simultaneously liberating and depressing reality that death is only one bullet away at any given instant and that there really is no such thing as a "safe area" breeds a certain callousness as well as intense awareness of each moment. There is the story of the soldier crossing Flanders field in World War I, in the midst of mind boggling carnage, suddenly being intensely aware of a single tree still standing and beautifully shrouded in fog. Life is real when your business is death. This of course does not mean, necessarily, that this intensity of experience is always conducive to mental stability. There are those of us in whom sensory over-load simply is intolerable and the danger of foundational collapse is a real possibility. That challenge is always present and as this movie shows, each person responds to it in their own unique manner. I have seen few movies which rivets the audiences attention to the military experience as well as this one. There are no rose colored glasses here but neither are honor and duty held in contempt. The central character hates the statement "it is what it is" but in the last analysis, that is the message that the story communicates. The connection between the grandson and the grandfather is far more than common military experience but it cannot be separated from it. Their stories are different but fundamentally the same. As the grandfather says... "you cannot choose your war... you have to just go and do the best job you can." That statement communicates the fundamental integrity and prevailing moral virtue of military service. A price has to be paid... but the whole point is that is a price that must be paid. Not everyone is called to it and not everyone can do it... and that also is just how it is. But for those who do and for those whose integrity is proven in it, there is a transcendent bond that is established among them that is as important as life itself. It simply is the way it is. What is possible to achieve is exactly what this movie portrays as being achieved, both by the grandfather and his grandson. The respect and appreciation of superiors and inferiors alike, when the man they want to fight with is the man that is there with them. Grandfather and grandson both walked the walk and their reward was not a grand parade and a bunch of medals. Their reward was the look in their fellow soldiers' eyes when tough decisions had to be made. Some will say that such is not worth it... they are the ones who don't know what it means to "do their job." This is a great movie and it is well worth watching. What The Bleep Did Jonathan Livingstone Seagull Know? I liked this movie and I will tell you why, but first, contrary to all the movie promotes, let's get the negatives out of the way first.